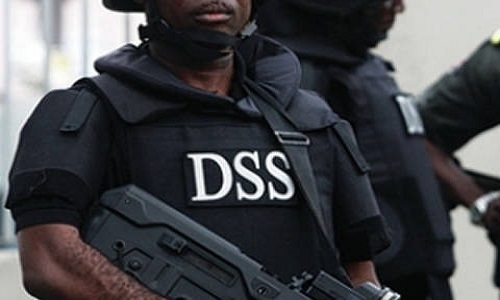 The Department of State Security Service (DSS) has been fingered in the abduction of a man who reportedly helped a 19-year-old Muslim girl convert to Christianity in Jos. According to The Guardian, Miss Nabila Umar Sanda Galadima, a 200-level student of Bingham University, Karu, Nasarawa State, was said to have met one Engineer Simput Dafup for the first time in Dubai. Dafup was on his way back to Nigeria from the United Kingdom. The two got talking and exchanged contacts. Nabila was said to have shown interest in Christianity, Nabila made her intention known to Dafup who asked how her father, Galadima Biu, would react. Nabila, 19, was said to have replied that she was of age and could take decisions of her own. Uncomfortable, Dafup sought the advice of one Evangelist Jerry Datim.Addressing journalists at the NUJ press centre in Jos on Saturday, Datim said that, sensing the implication of the conversion for the cordial relationship between the Christian Association of Nigeria (CAN) and Jamatu Nasril Islam (JNI), he decided a discussion with leaders of Nabila’s religion was necessary. Datim said he and Dafup met the JNI leadership alongside Nabila, with a view to avoiding a religious crisis.He said but while this was going on, detectives from the Department of State Security Service (DSS) stormed his house, assaulted his wife, daughter and eight-month-old baby, and whisked Nabila away. “As I address you, we do not know the whereabouts of Engineer Simput Dafup and Daniel Hassan, the taxi driver whose vehicle Miss Nabila boarded from Abuja to Jos.“I want to state for the avoidance of doubt that the constitution of the Federal Republic of Nigeria guarantees the right of anyone to propagate his faith and the right to also practice any religion of one’s choice. Miss Nabila told me she is 19 years old and therefore free to choose a religion for herself. “I understand that her father has said he has all the connection in this country to deal with me, Engineer Dafup and any other person found to have converted his daughter to Christianity, and that he will ensure we rot in jail. Mrs. Dafup said the heavily armed men who arrived in five Hilux vehicles assaulted even passersby.She said: “It has become worrisome for me. As I address you, now, I do not know where my son is.” The JNI and the complainants were said to have visited the DSS office in Jos where officers kept sealed lips and directed all enquiries to the agency’s Abuja headquarters.